The holidays are only a month away! Have you started your gift shopping yet? I know firsthand that holiday shopping can be stressful and that it’s challenging to come up with unique holiday gift ideas. I want to help you make your holiday shopping as simple and stress-free as possible this year…after all, the holidays should be fun! 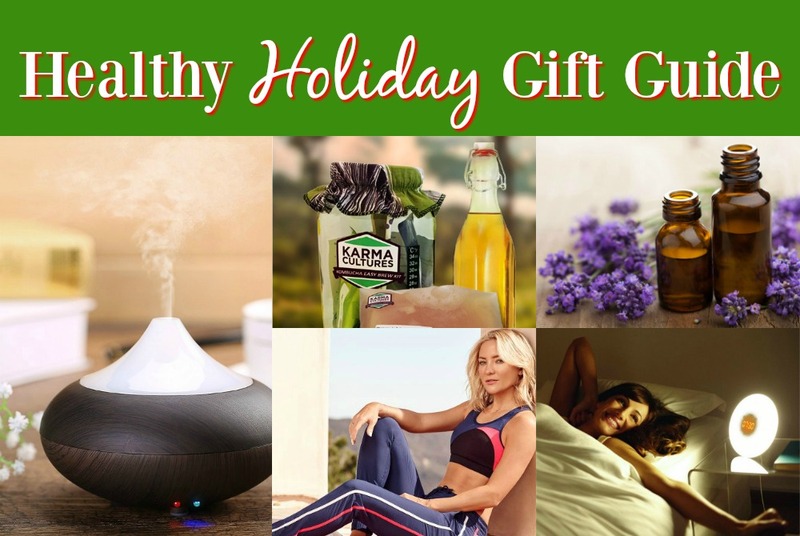 To do so I’ve compiled a healthy holiday gift guide with 10 amazing gift ideas that you can purchase online for $70 or less. You can literally curl up on the couch and shop in your PJ’s with a cup of hot cocoa in hand. Does this sound like your kind of holiday shopping? Have you ever tried Kombucha? If not, you must! It’s a delicious, fizzy beverage that’s made from fermented tea. Since it’s fermented, it’s not only refreshing and tasty but it’s also an amazing source of probiotics! Probiotics keep your gut microbiome happy and healthy, contributing to good digestion and keeping your immune system strong. Store-bought kombucha isn’t something that I tend to indulge in very often because it sells for $5 per bottle. That adds up quickly! The good news is that Kombucha can be made at home very inexpensively! 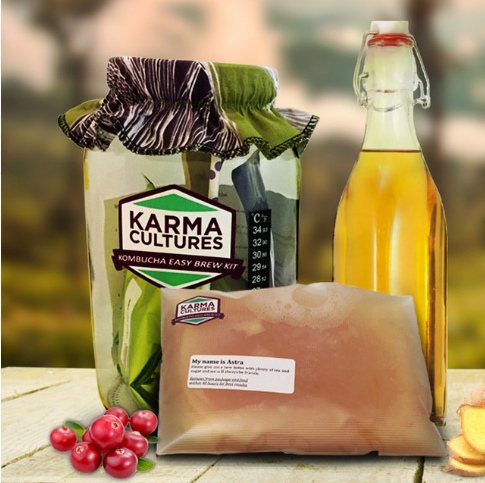 All you need are the right ingredients, instructions and tools, which you can obtain for only $65 through Karma Culture’s Complete Kombucha Easy Brew Kit. Karma Cultures is a Canadian company located in Calgary, Alberta. The owner, Lea Ann, is a pharmacist who developed a passion for kombucha and is now sharing her brewing knowledge with the world! A Complete Kombucha Easy Brew Kit is a very trendy, healthy holiday gift and like all of the other items in this guide it can be shipped directly to your home! This beautifully photographed book makes an amazing holiday gift. 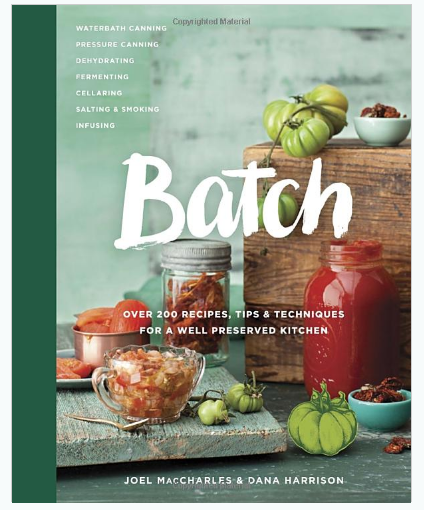 What I love most about Batch is that in addition to the delicious recipes, it teaches you step-by-step how to preserve veggies, fruits, meats and other ingredients via dehydration, pressure canning, waterbath canning, cellaring, salting, smoking, infusing and fermenting! You’ll learn how to make your own preserves as well as how to use them in over 200 mouth-watering recipes, many of which are dairy and gluten-free. As someone who will be gardening for the first time this year, the prospect of learning all of these food preservation methods gets me pretty darn excited! But, what if the person you’re shopping for doesn’t have a garden? Will Batch still be useful for them? Yes, indeed it will be! Purchasing bulk, in-season produce from local farmers and preserving it for later still not only saves money, but it also promotes eating locally year round. Additionally, learning how to ferment your own food provides numerous health benefits and helps to ensure a healthy, happy gut microbiome! 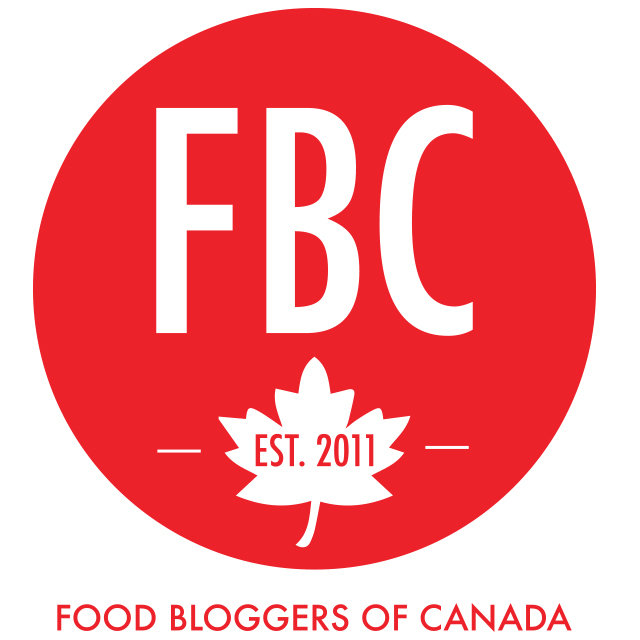 I met the authors, Joel MacCharles and Dana Harrison, as fellow speakers at the Food Bloggers of Canada conference this past October. Their passion for food is apparent and it infuses every recipe, word and photo within Batch. The book is absolutely gorgeous and it’s sure to delight any gardener or cook as a healthy holiday gift! You can purchase Batch online through Amazon or Indigo. I’m a lover of loose teas, but I always used to find it challenging to bring a cup of loose tea with me on the go. The mesh tea infuser balls are frustrating and always seem to lead to stray tea leaves in my mug…and therefore in my mouth. I discovered the solution to my problem, Libre tea glasses, a few years ago and have been in love with them ever since! To make a mug of loose tea on the go, simply add your loose tea leaves and hot water directly to the mug. There is a mesh strainer at the top of the mug and it filters the leaves as you sip! In the three years that I’ve been using my Libre tea glass, I don’t recall a single leaf of tea ever sneaking through the mesh filter. The inner layer of the Libre mugs are glass, which means no chemical laden plastics will be steeping into your tea. The exterior layer is made of BPA-free poly Tritan, which keeps your mug cool to the touch and resistant to damage. Libre tea glasses are available in multiple sizes and colours, but my personal favourite is the 14oz Classic tea glass. It’s classy, stylish and makes for the perfect healthy holiday gift! 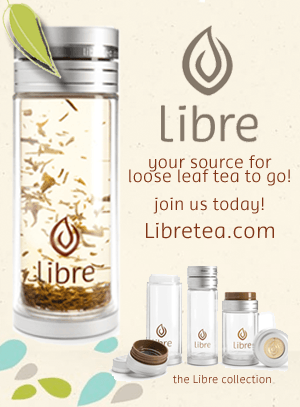 Libre has teamed up with Healthy Life Redesign to offer my favourite 14oz Classic tea glass to one lucky winner! 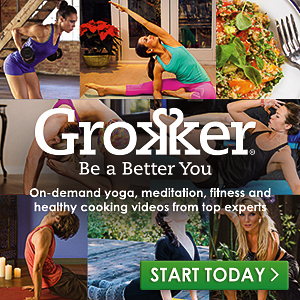 Grokker is your online, all-in-one gym and yoga membership at an extremely affordable price! With a Grokker membership you’ll gain immediate and unlimited access to a diverse array of fitness classes that include high-intensity interval training (HIIT), barre, kickboxing, cardio, strength training and more. You will also love the yoga classes with a variety that includes vinyasa, yin, power, hatha and more. Classes are all streamed in high definition video and are taught by skilled and well-reputed instructors. 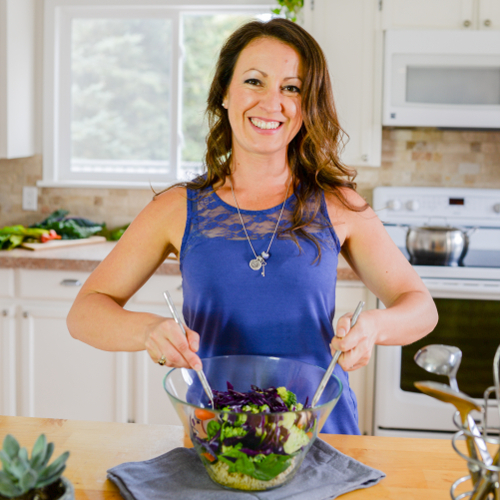 As a bonus, there’s also a cooking section to the Grokker membership site where you can enjoy tons of healthy new recipes and instructional cooking videos! All of this is available for only $14.99 per month or $9.99 per month on an annual plan! While that’s an amazing deal, what’s even better is that they have a gift option where you can purchase a 3-month membership for only $20. Believe me, those on your holiday gift list will love Grokker and will enjoy that they can complete a challenging workout class, a restorative yoga practice or a calming meditation session from nearly anywhere. This gift is especially appreciated come January when busy gyms and expensive membership prices can be avoided! If you’d like to try Grokker out for yourself and have confidence in your gift purchase, sign up for their free 2-week trial! At only $20 for a 3-month membership, Grokker is an affordable option that makes for a fabulously healthy holiday gift! Is there someone on your Christmas list who loves to cook? Or someone who’s looking to make a few healthy dietary changes come the new year? A spiralizer is easily one of my favourite healthy kitchen tools because with it you can easily transform veggies like zucchini, carrots, beets and sweet potatoes into long, pasta like strands! I often make zucchini pasta instead of grain-based pastas for a light yet delicious meal. 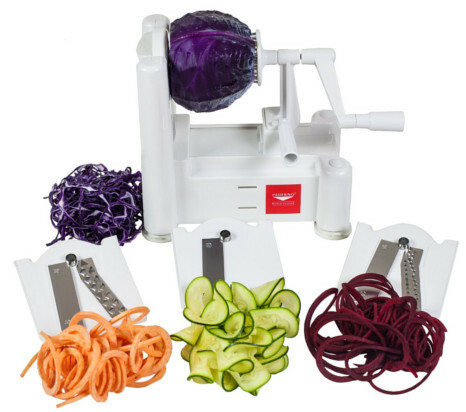 With a spiralizer, you can also finely slice fruits and vegetables into ribbon like strands and liven up your salads! I’ve gifted a spiralizer to several people on my holiday list in the past and it’s a gift that has always been very well received. I personally own the Paderno Tri-Blade Spiralizer and love it! The quality is top notch, it’s easy to clean and the blades stay sharp. Who doesn’t love essential oils? They can be used to fragrance your home, to make your own natural cleaning products and to help alleviate certain health symptoms! I’ll often add a few drops of lavender, ylang ylang or mandarin orange oil to my tub with a cup full of Epsom salts for a relaxing soak. When purchasing essential oils it’s important to note that terms like “Grade A”, “Pure” or “Therapeutic grade” are not regulated claims. Many companies use these terms loosely to describe products that are often not as high quality as they would like you to believe. Therefore it’s always important to do your own research and to check into quality claims before investing a pretty penny into your essential oil collection. I’ve been researching several different brands and I feel comfortable recommending Living Libations because of their commitment to quality. All of their essential oils are produced from either organic or wild crafted plants (meaning they’re picked directly from their natural habitat). Living Libations products and oils are also free from artificial and synthetic colors, preservatives, fragrances and petrochemicals. Their essential oils are highly concentrated and are not diluted to increase yield. To produce some of their oils, like rose oil, they may use an entire plant to produce a single drop of oil! Living Libations has a large selection of quality oils, as well as other beauty products, natural deodorants, toothpastes and more. A collection of two or three essential oils makes for a fabulous holiday gift! To notch up your gift-giving prowess, pair the essential oils with a diffuser for a healthy holiday gift that your friends and family will love! I love a nicely fragranced room, but most air fresheners are chemical laden hormone disruptors that I don’t want to spray in my home. Even many of the fragrances that are used in oil burners are synthetic and artificial. These chemicals burden your liver and can negatively impact your health, therefore I recommend sticking to natural essential oils in your home. 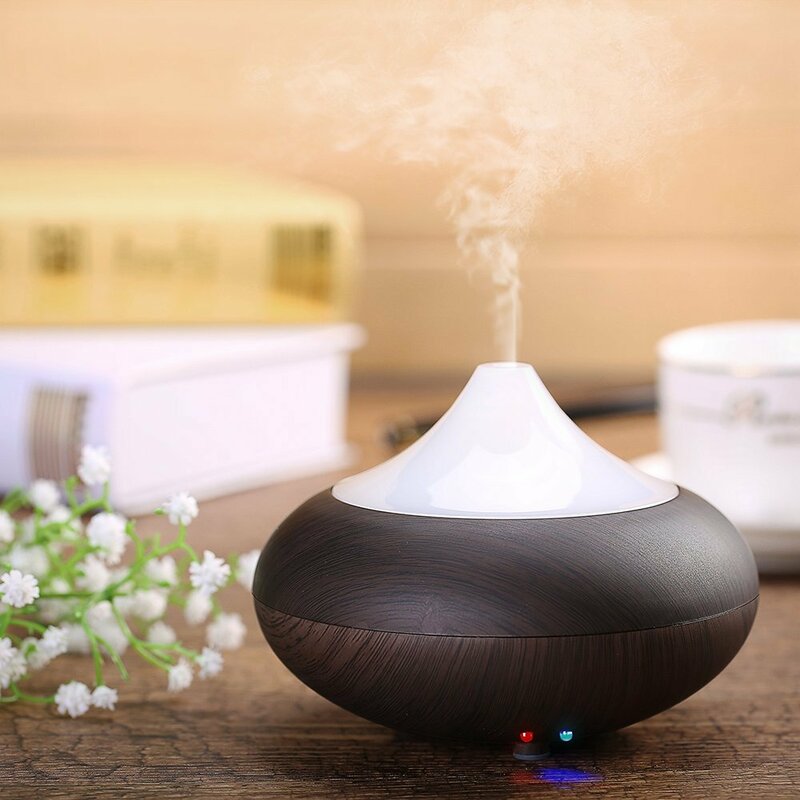 The best way to fragrance your home with essential oils is to use a diffuser, which serves a dual purpose since it will also gently humidify your home. The VicTsing diffusers come in different colours and they’ll bring style and class to any room! Some of my favourite essential oils to use as a home fragrance include lavender, grapefruit, mandarin, lemongrass and ylang ylang. Add a few drops to a diffuser along with a little bit of water and you will enjoy a calming and soothing experience! A diffuser makes for a classy and calming holiday gift, which is complemented nicely if paired with one or two high quality essential oils! Who says that you can’t look fabulous while getting your sweat on? You probably already knew that, but did you know that looking fabulous could also be affordable? I love receiving workout or yoga wear as a holiday gift! I like to take my workouts up a notch come January and stylish new active wear always makes leveling up my gym routine feel more exciting! Shopping online through Fabletics allows you avoid the crowds and do your holiday shopping from home! Fabletics was founded by Kate Hudson and the company provides quality workout wear for affordable prices! Instead of having to sort through tons of different colours and styles, simply complete the Fabletics quiz and several personalized outfits will be recommended for you or the person you’re shopping for! Completing the Fabletics quiz also enables you to join their VIP program at no cost and get your first outfit for only $25US. Your membership can be cancelled anytime and there is no long-term commitment required. Activewear from Fabletics makes for a fabulously affordable healthy holiday gift! I received Bluetooth headphones for Christmas last year and wearing them has vastly improved my workouts. I’m not kidding! Since they’re wireless, I no longer have to hold my phone in my hand or tuck it into my tiny pockets while I bounce around for my interval training. 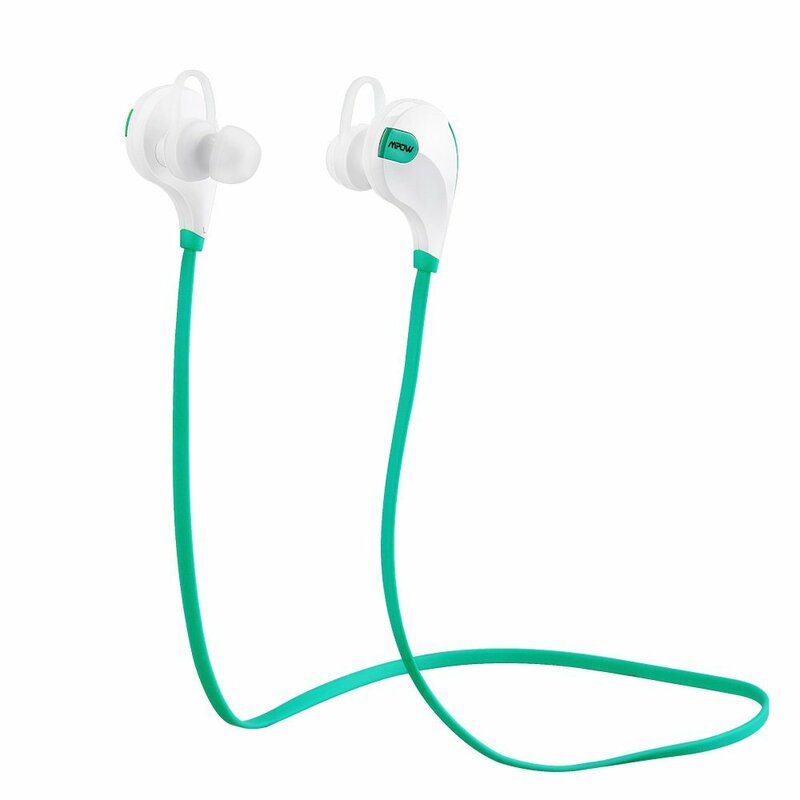 The wireless Bluetooth headphones have also allowed me to follow the workout videos on Grokker without disrupting everyone else around me at the gym with the audio. My husband researched the options last year prior to deciding on which headphones to purchase and settled on the Mpow Swift Bluetooth Headphones because they provide great quality at a very reasonable price. They’re available in several different colours including teal green, orange, neon and a few variations in black. They have great sound, good battery life and I can personally say that they made for a fabulous holiday gift to open! With this gift you’re not only giving someone an alarm clock, you’re transforming their wake up ritual and improving their overall morning experience! Inspired by the naturally brightening light of the sunrise, the Philips Wake-up Light allows you to gently emerge from your slumber without being jarred awake by your screeching alarm clock. 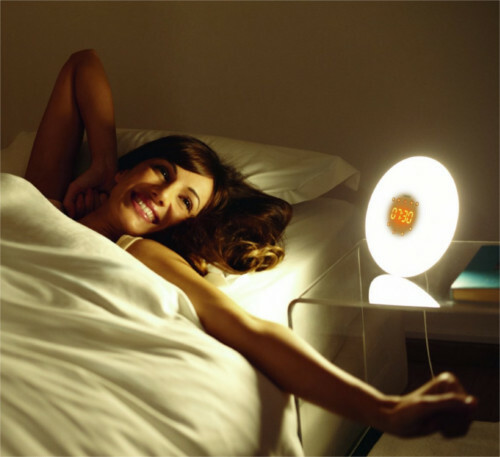 The wake-up light gradually increases in brightness over a 30-minute period before your wake-up time, growing more intense until your room is filled with bright yellow light and thus stimulating your body to wake up naturally. To ensure that you’re fully awake, the alarm will ring with the gentle sound of bird chatter after 30-minutes. If you’re not ready to get up yet, simply hit the snooze button as you would on any other alarm clock and the birds will sound again 10 minutes later. As a bonus, the light is dual purposed and it can also be used as a reading lamp. Philips HF3505/60 – On sale at $69 at the time of writing this guide. Philips HF3520 – On sale at $119 at the time of writing this guide. The Philips HF3500 is also available for slightly less, but it does not have an adjustable clock display. This means that the numbers on the clock will be quite bright at night and may disrupt your sleep, which defeats the purpose of waking up gently! The other two models (HF3505 and HF3520) have adjustable brightness displays and therefore would be preferred options. Doesn’t it sound amazing to wake up naturally with warm lighting and bird chatter instead of your screeching alarm clock? I’m sure the people on your holiday shopping list will agree with you too! That concludes my guide to healthy holiday gifts! I hope that you were inspired by the budget friendly, health conscious gift ideas that are perfect for either him or her! 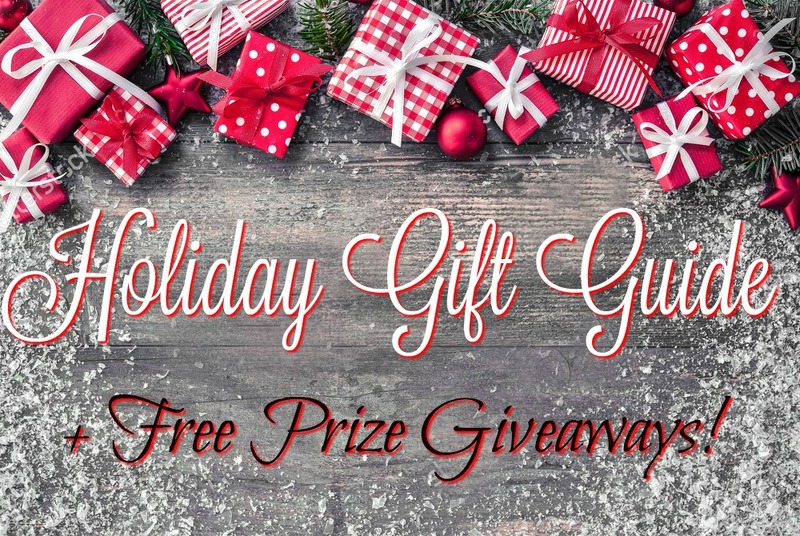 Please note that the Healthy Life Redesign Holiday Gift Giveaway Contest is now closed and that the winners will be announced before Christmas! Happy holidays! Some of the links in this guide are affiliate links. This means that if you purchase a product through the link (at no additional cost to you) I may receive a small referral commission. This revenue helps me to cover the time and costs associated with running Healthy Life Redesign. Thank you for your support! Wow! What a fantastic list! I like the thought you’ve put into your choices. I own a copy of Batch and I love it. It’s inspiring me to stretch my conception of what I can accomplish in preserving and transforming food. Thanks Teresa! Batch is such a great book and I can’t wait to put everything that I’ve learned from it into use! 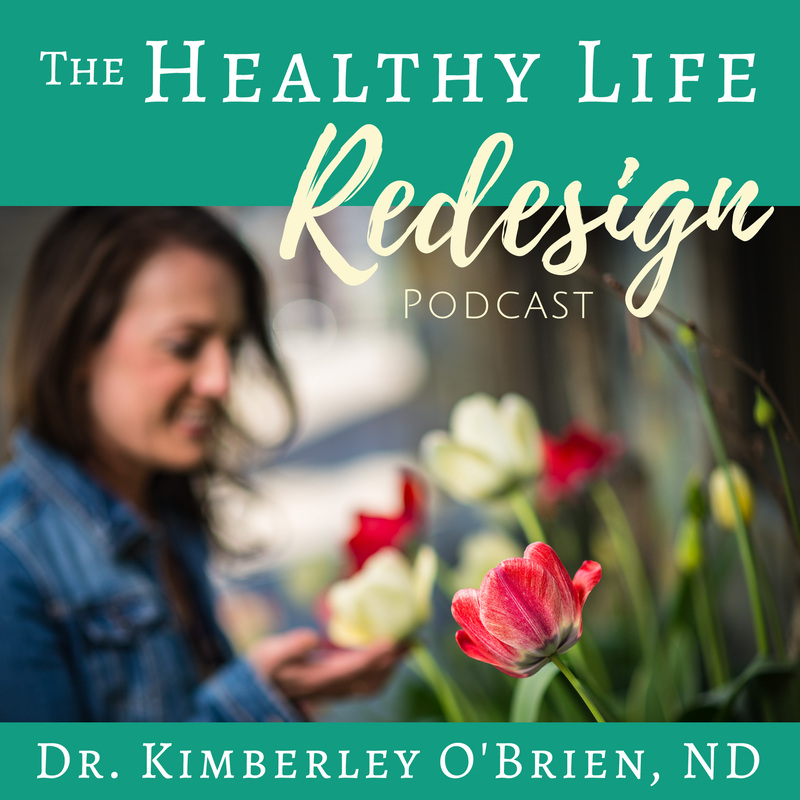 What a great list, Dr. Kimberley! I intend including it in my December e-newsletter, Your Uplift. I contain my Christmas activities to December. The only activity I do before December is make greeting cards. I enjoy November for being November! 🙂 Thank you for your inspiring work! Thank you Patricia! I’m so glad that you enjoy the list and I would greatly appreciate you sharing it in your newsletter. Please feel free to share here how my readers can sign up for your newsletter should they wish as well! Happy Holidays and Big hugs!